Club Martha's is much larger than the impression I got from the webpage. This is not a criticism, the set up is well organised. the all inclusive was really excellent value, and the food was generally very good, salads fantastic. our bedroom apartment was good, perhaps a little jaded but overall beds were ok and weren't disturbed by resort entertainment etc... Towels are on thin side. Nice balcony overlooking one of pools. We did admittedly get a very good deal so can only say this was great value for us. We paid an extra 6.50 euros for hire of tennis court which is ok... a few cracks and not much space around base lines but ok for a knock about. lovely little beach 5 mins walk from resort. The location of the hotel is brilliant if you have children as it’s close to the bars & restaurants & the beach is opposite. The beds were very comfortable, the disabled access shower and room was fabulous. Staff were all very friendly and accommodating and I have no complaints at all. The grounds of the site are all very well tended and looked after. Description and pictures on the page really were reflected in reality :). 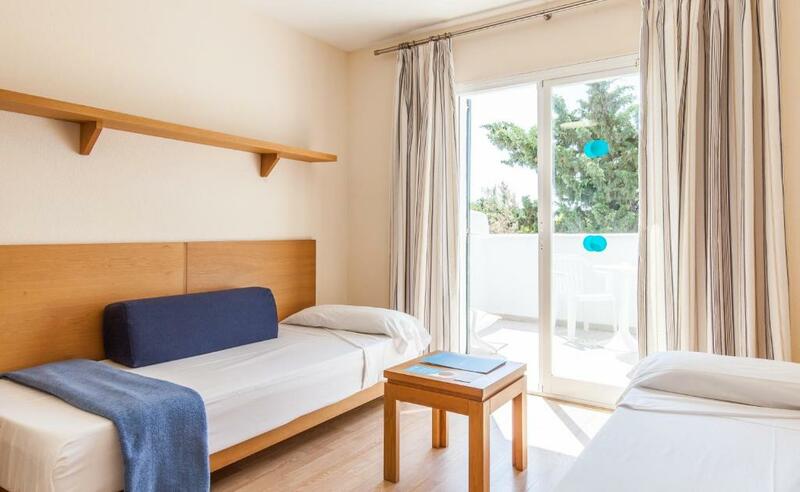 Martha's is in an excellent location within walking distance of a variety of bars and restaurants in Cala Egos and very close to the beach. Cala d'Or is a pretty 20 minute walk away and the Harbour is lovely. 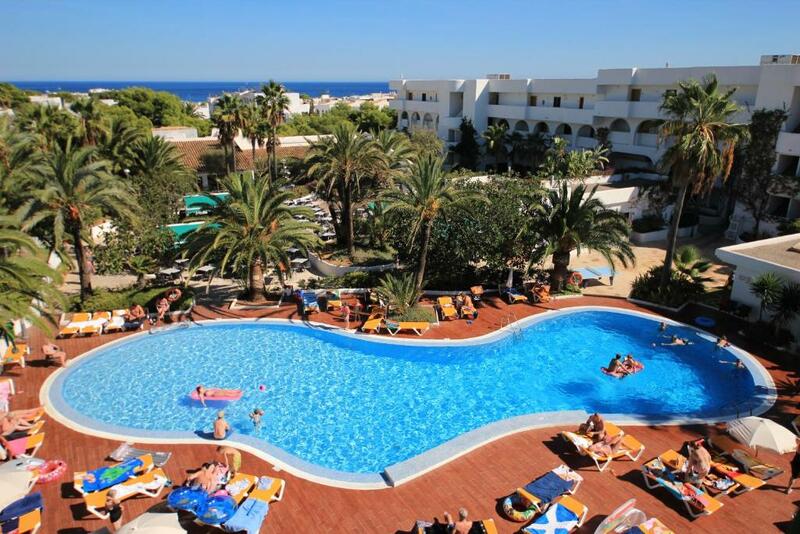 The facilities in Martha's are excellent, a variety of pools, 2 bars, excellent Pizza restaurant and the entertainment is really well done, even that for the kids and although we don't have any we couldn't help joining in. The property is well located. Good for families with young children. Blue Sea Club Martha's This rating is a reflection of how the property compares to the industry standard when it comes to price, facilities and services available. It's based on a self-evaluation by the property. Use this rating to help choose your stay! Set only 1,000 feet from a white sandy beach, the expansive and beautiful Club Martha’s in Cala d’Or features a large, outdoor swimming pool and sports facilities, ideal for family holidays in the sun. 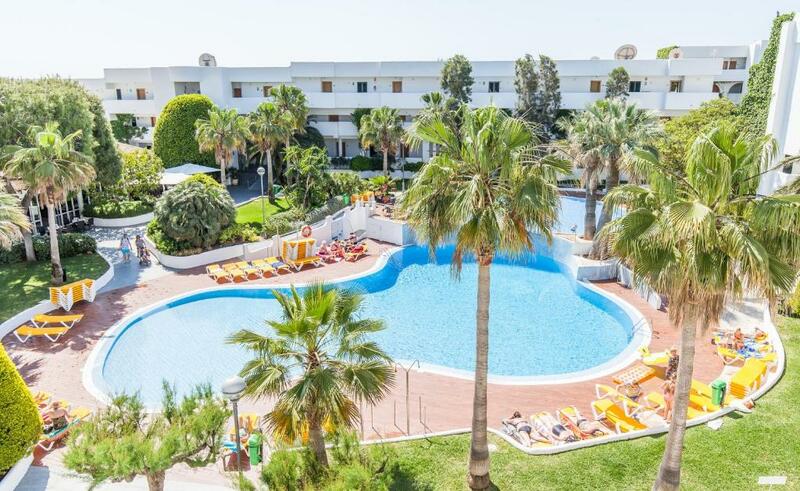 Spend the day unwinding by the swimming pool of Club Martha’s Aparthotel and take a dip to cool off in the hot Majorcan sun. 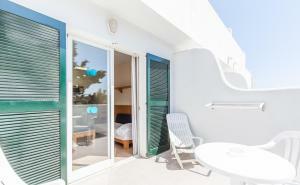 Here you can lie back and enjoy sunbathing, on the landscaped grounds, surrounding the pools. Get more active by playing a game of tennis on the on-site courts. 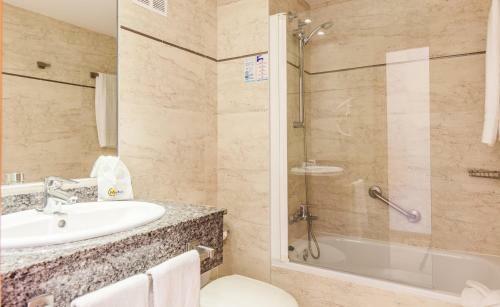 Then freshen up with a shower in your spacious apartment in the evening, before heading down for dinner and drinks in one of the restaurant outlets in the complex. 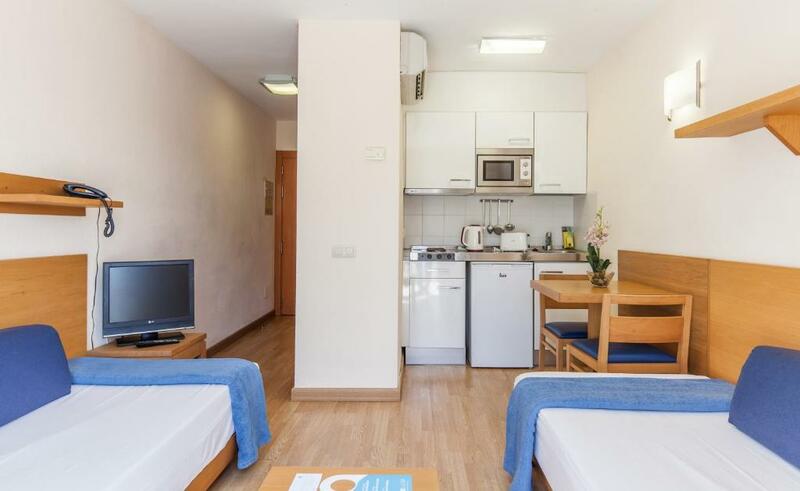 Each of the spacious apartments at Club Martha’s Majorca comes equipped with kitchen facilities, so you can prepare your own meals, and then relax with family or friends in your lounge area. When would you like to stay at Blue Sea Club Martha's? This air-conditioned apartment is set around one of the swimming pools, featuring a private terrace and plenty of natural light. There is a double bedroom with wardrobe, a spacious lounge with 2 sofa beds and dining table, a kitchenette and a full bathroom. The apartment is equipped with a satellite TV with international channels and a rental safe box. There is a cleaning service and an optional laundry service. This air-conditioned apartment is set around one of the swimming pools, featuring a private, south-facing terrace and plenty of natural light. 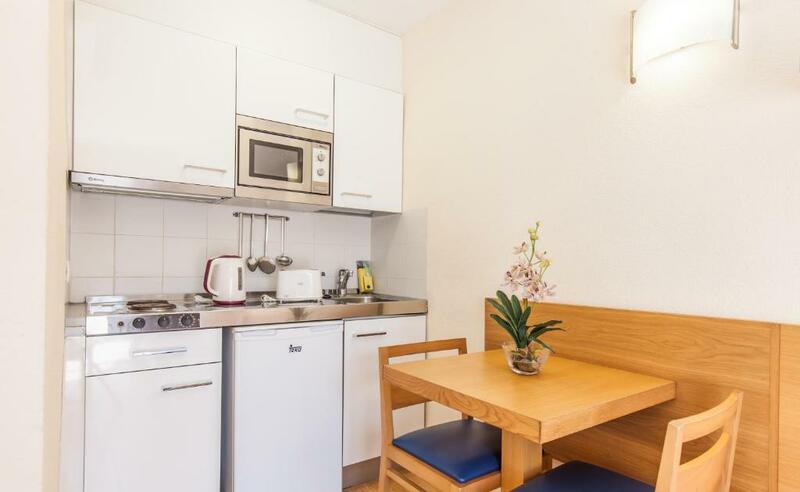 There is a double bedroom with wardrobe, a spacious lounge with 2 sofa beds and dining table, and a kitchenette with an electric hob. There is also a full bathroom. The apartment is equipped with a satellite TV with international channels. There is a cleaning service and an optional laundry service. A safe is available to rent. This studio features a dining area, seating area and kitchenware. House Rules Blue Sea Club Martha's takes special requests – add in the next step! Blue Sea Club Martha&#39;s accepts these cards and reserves the right to temporarily hold an amount prior to arrival. Blue Sea Club Martha's accepts these cards and reserves the right to temporarily hold an amount prior to arrival. mattress could have been an inch or two thicker! but we did sleep so can't complain. the resort uses salt water for showers (which is fine).. but there was saline water in the kitchen tap too so you had to buy water to drink and fill your kettle with. generally area around resort (apart from little beach) a bit naff but easy to get away if you have bikes/car. The staff were so strict with the children. The manager of the hotel was constantly telling them off, although they were only playing near the stage, he come over to us parents and wasn’t very happy but they were not doing anything that warranted a manager telling us off. The bar was completely understaffed and the queues to get in to the restaurant or to get a drink we’re unbarable so god knows what it will be like when it’s high peak season! Unfortunately our room was dirty. There was stains on the walls where the air condition units had leaked and the drain in the bath was blocked causing a very bad smell. The toilet seat should have been replaced before letting anyone use the bathroom in that apartment. When they moved us to a perfectly clean apartment without blocked drains, we could relax and enjoy the complex, pool and restaurant - which served great pizzas. The Fun Team worked very hard by the pool and their dance routines were brilliant! I wish I had a copy of their music. Loungers were one setting around the pool, very minor whinge. In our self catering kitchen there was only one plug and it was literally 3 inches from the tap so nowhere to plug kettle or toaster which was really annoying having to boil water and toaster in kitchen. The apartments are in need of upgrading and the cleaning is not up to standards you’d expect on holiday. We paid almost £1800 for a 1 bedroom apartment for a week and I had to ask the hotel to clean the floors on arrival as they were full of sand and dust. Only beach near is a tiny cove so the description of being ‘close to the beach’ is although strictly correct is misleading which means everyone stays at the pool. There are really no beaches in the whole area so driving to a local one not a practical option unless you are prepared to drive 30 mins plus to find one very day and even those ones are small and packed out. You would need to go much further up the coast for long beaches. Nowhere near enough sun beds or bed space to put them at the hotel. This was a real downside as there was a scrum every morning. Additionally the parasols are fixed to the ground which makes the setup very inflexible. Although beds are locked until 10 which is good people put towels in the umbrellas and sat on guard under them from 8.30!! Half board and all inclusive meal options can be purchased at the resort after arrival so I would wait before signing up. Breakfast and dinner are very basic and nowhere near the standard I have seen elsewhere but may be a good option for very young families just for convenience. Table tennis bats sometimes ‘lost’. Couldn’t get hold of an iron. Overall a nice hotel but could be excellent with some work. Clean modern spacious rooms. Good AC. Full size fridge and cooking facilities. Sheets cleaned regularly and extra towels etc available if you asked. Landscaping lovely, two large outdoor pools. Large balconies with furniture in all apartments. Pool cafe served excellent well priced food which was much better than the photos on the menu. Close to restaurants etc. Parking available. Table tennis table and couple of pop tables popular with my sons. Overall quality of accommodation very good. Noisy neighbours, families vs people with no kids living in same bloque.